This study was undertaken to determine the response of \(\dot V\)O2 max and of running performance (805 and 3218 m) to the onset of training in untrained individuals and to an increase in the volume and intensity of training in well trained individuals. In series A, \(\dot V\)O2 max and performances of 12 previously untrained individuals were determined before and after 4 and 8 weeks of training. In series B, performances, \(\dot V\)O2 max and \(\dot V\)O2 submax of 15 previously well trained runners were determined before and after 4 and 8 weeks of controlled training. In series A, \(\dot V\)O2 max increased during the first 4 weeks of training but failed to increase further even in the presence of an increased training load (80 total km for the first 4 weeks, 130 total km for the second 4 weeks). Running performances improved throughout the training period. In series B, neither \(\dot V\)O2 max nor \(\dot V\)O2 submax changed but running performance improved throughout the experimental period. The results indicated that not all of the improvement in running performance subsequent to training is attributable to changes in \(\dot V\)O2 max. Further the results indicate that changes in running economy are not a likely explanation for performance improvement among previously well trained runners. 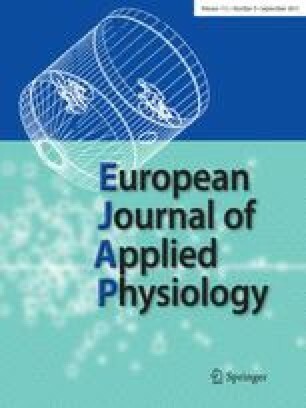 It is suggested that physiological adaptations not integrated in the test of \(\dot V\)O2 max, or improvement in pacing contribute to training induced improvements in running performance.